I am not sure why I found this figure primed and ready to go on my shelf. I don't recall ever needing this mini or having primed it in the first place, but regardless I finally caved and painted it. But rather than going for your standard thief blacks, dark blues and grays I chose to go with a more humble scheme, creating a peasant thief; some one who might be known around the area as a highwayman or bandit. I have not used him in a game yet, and neither do I have plans to, but I am sure he'll come up eventually. 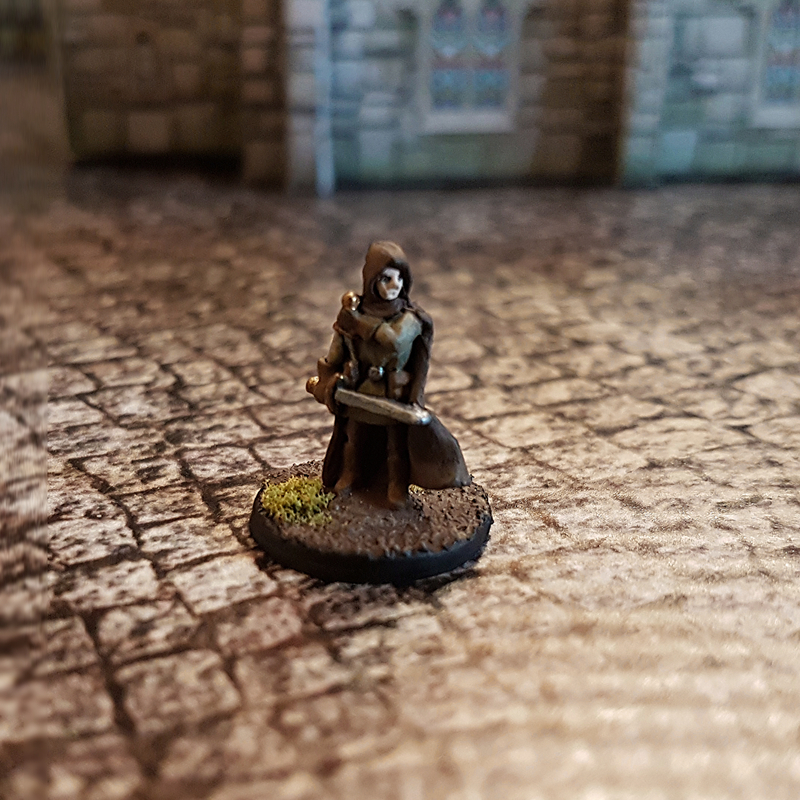 This mini comes from Splintered Light Miniatures, which is where I get most of my 15mm figures. 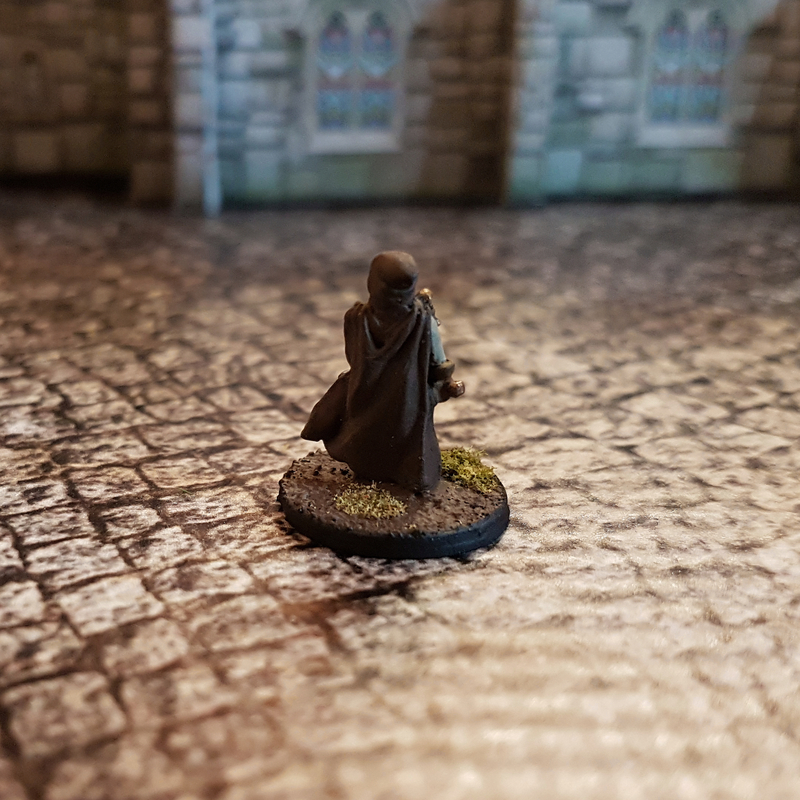 They simply have the largest selection, and unlike most places who produce 15mm for different war games, Splintered Light actually makes figures in 15mm for D&D. They are a great resource.